Have you ever started a design project and not known what colors to use? Ever wondered which colors go well together? There is a science to color matching and a psychology to effectively choosing the most effective colors to express your visual message. This process, however, does not need to be complicated. The work has already been done for you and the answer is all around. Just look at nature. Flowers use colors to attract pollinators like bees. Birds use colors to attract mates. People use colors to attract and inspire people. Companies use colors to represent their message and establish their brand. Nature is full of hues and contrasts creating dynamic effects, symmetry and balance. Color schemes in nature are abundant. There are monochromatic schemes for when you want to showcase a single color. 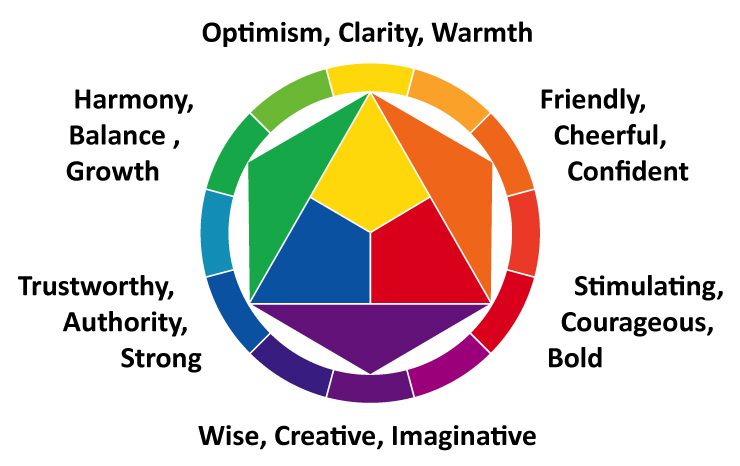 Analogous schemes, which feature colors that are next to each other on the color wheel creating a harmonic design. Complimentary schemes, using hues opposite each other on the color wheel creating a vibrant look. Let the colors of nature inspire you on your next project. The benefit of going for a walk is beyond just a physical one.